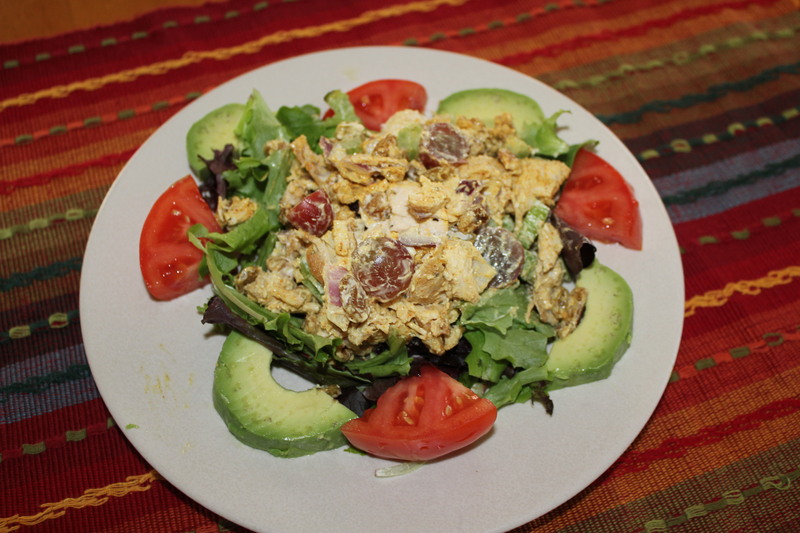 The first time I ever tried curried chicken salad was back in the mid-1980s when I was in graduate school at UNC. I had an assistantship at the U.S. EPA’s library, which at the time was in Research Triangle Park, about 20-25 minutes from campus. At least once a week I gave a ride to Hester (I can’t remember her last name), who also had a graduate assistantship at the EPA. Since I wouldn’t take any gas money from her (I was going there anyway) she made lunch for me sometimes, and her chunky, curried chicken salad was definitely my favorite. 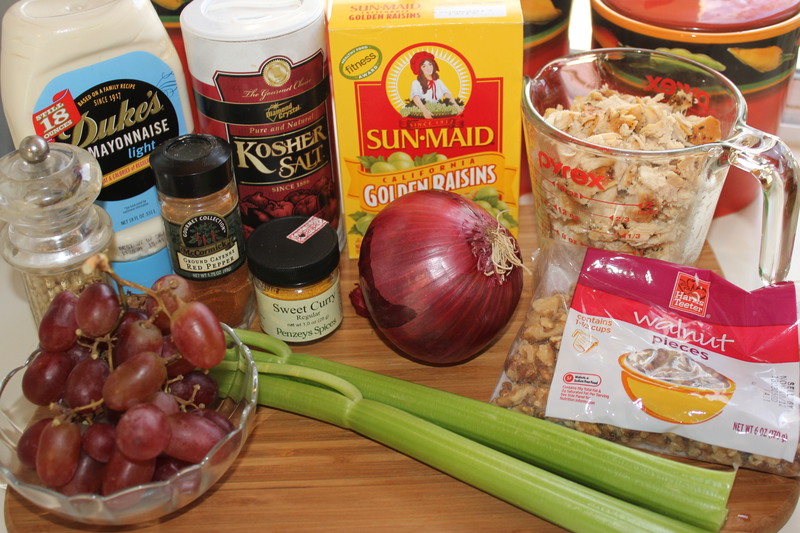 It was so different from the chicken salad I usually made (I’ll share that recipe in a separate post) and I loved the sweetness of the raisins and grapes, the crunchiness of the nuts and the spiciness of the curry. I’m not sure of her exact recipe, but after practicing these many years, this comes mighty close. 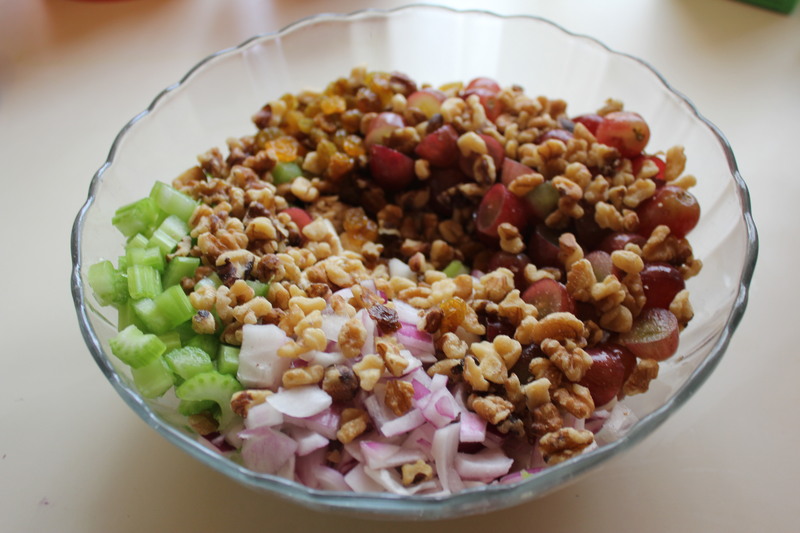 Place chicken, celery, onion, grapes, raisins and walnuts in a large bowl and gently mix together. Add curry powder and cayenne pepper to the mayo and stir. 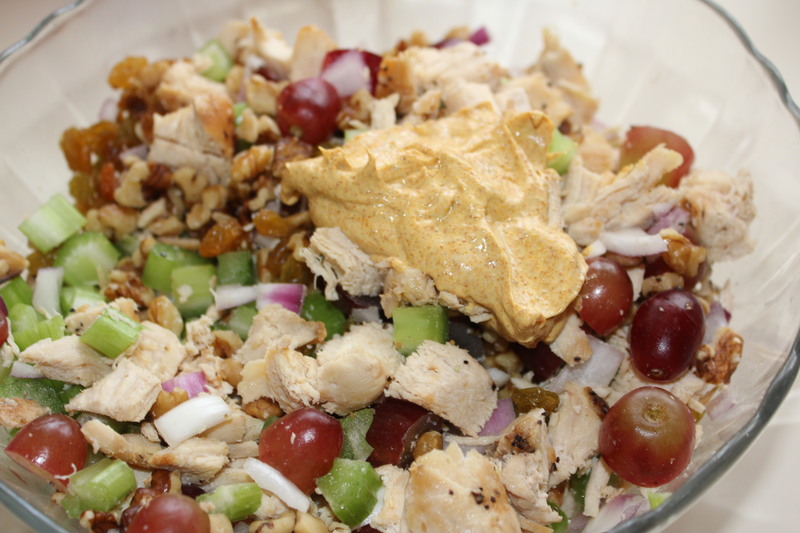 Mix this into the chicken salad. Check for spiciness and heat – you may want to add more curry powder and cayenne pepper, depending on taste. I like to serve this on mixed greens with sliced tomato and avocado, but you could easily make a tasty sub or sandwich instead. 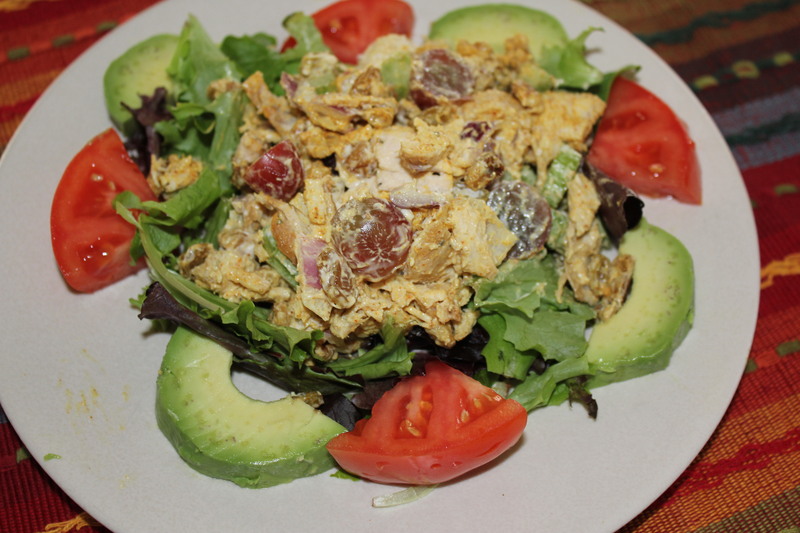 This entry was posted in Meat and Poultry, Recipes and tagged chicken salad recipe, chunky chicken salad, curried chicken salad recipe, kel's cafe of all things food, kel's cafe recipes, Kel's curried chicken salad, Kelley Chisholm blog, Raleigh food blog. Bookmark the permalink.